What I find is hilarious is KP wrote the press letter, not William, for this Mail charity drive. He cares so much, yes? Better KP than Seabiscuit because you know if he wrote the letter he would have come off as the prick he is. 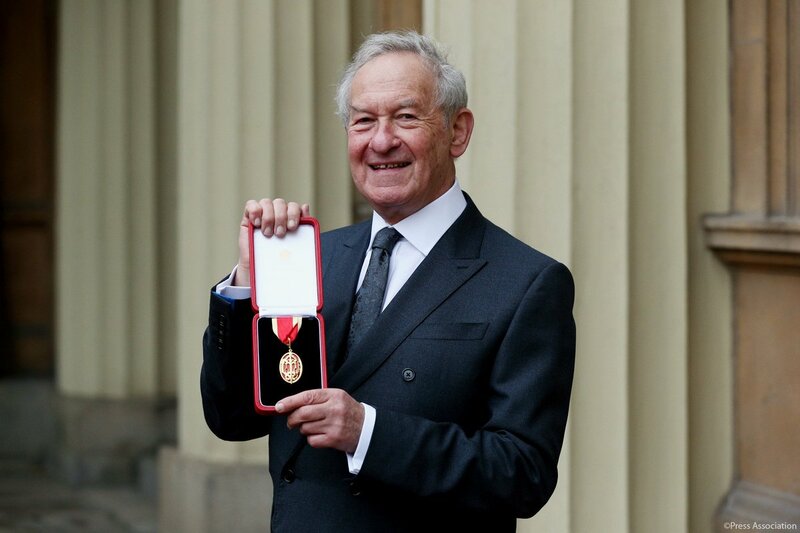 Historian and broadcaster @simon_schama was awarded a Knighthood for services to History. 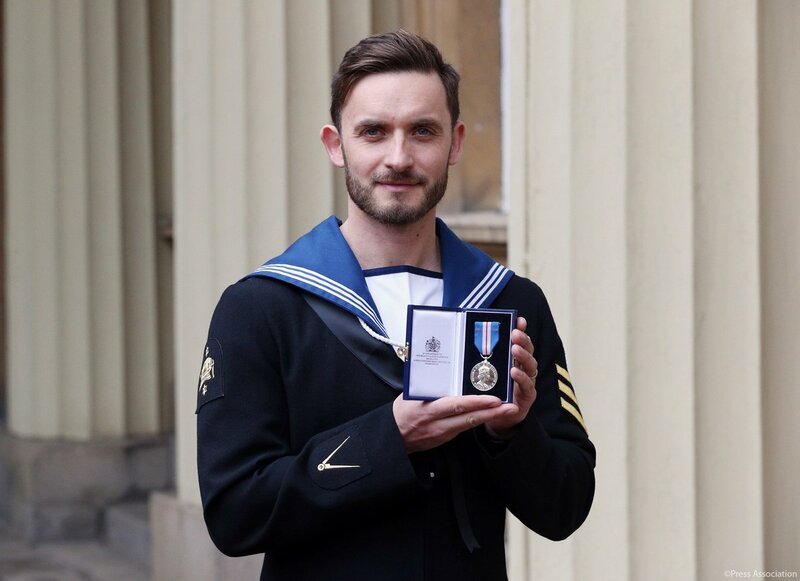 Simon bravely entered the upturned hull of a fishing boat being driven towards rocks near Plymouth, in 2017, to try to rescue crew in the vessel. 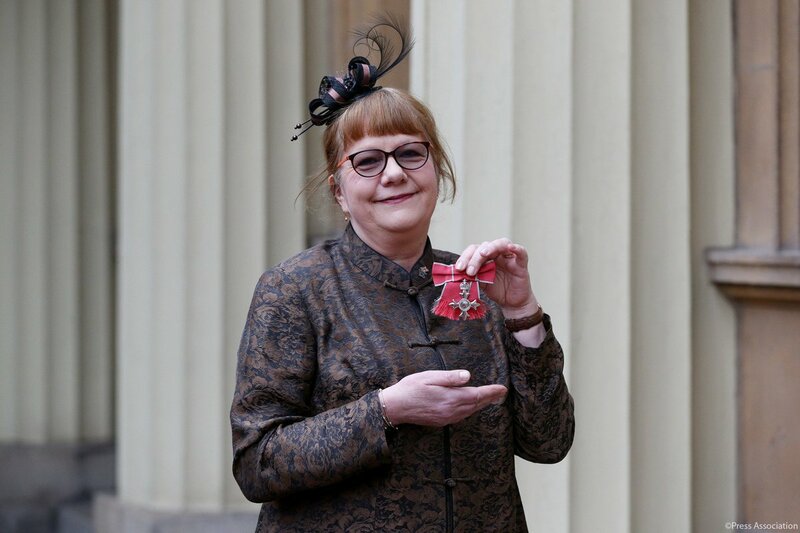 Rosemary Johnson, former Executive Director for the Royal Philharmonic Society was awarded an #MBE for services to Music. Rosemary ran the @RoyalPhilSoc for two decades between 1998 and 2017. 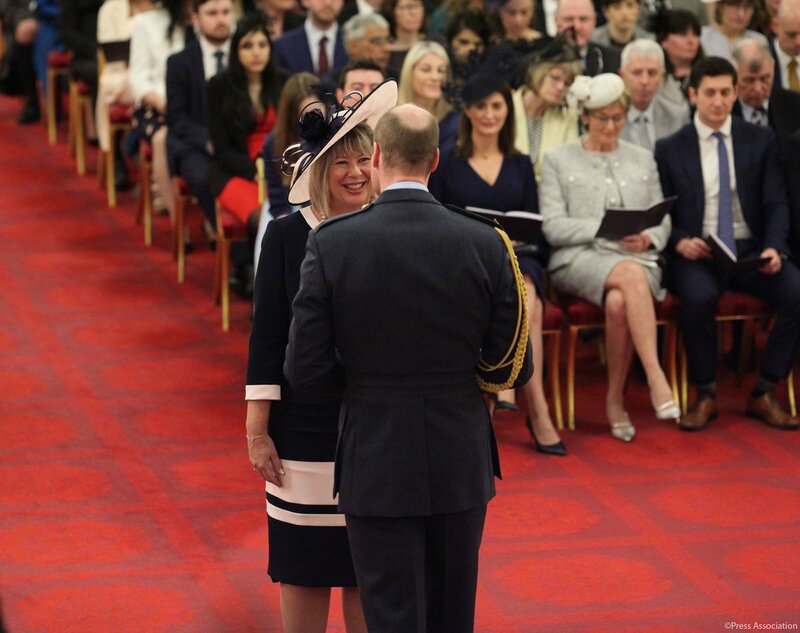 At the investiture ceremony, Anne-Maria Newham from Rothley was made an #MBE for services to Nursing, and entrepreneur Thomas Ilube was awarded a #CBE services to Technology and Philanthropy. This is the second time (at least) this year William has filled in for the Queen but the cc hasn't counted either. 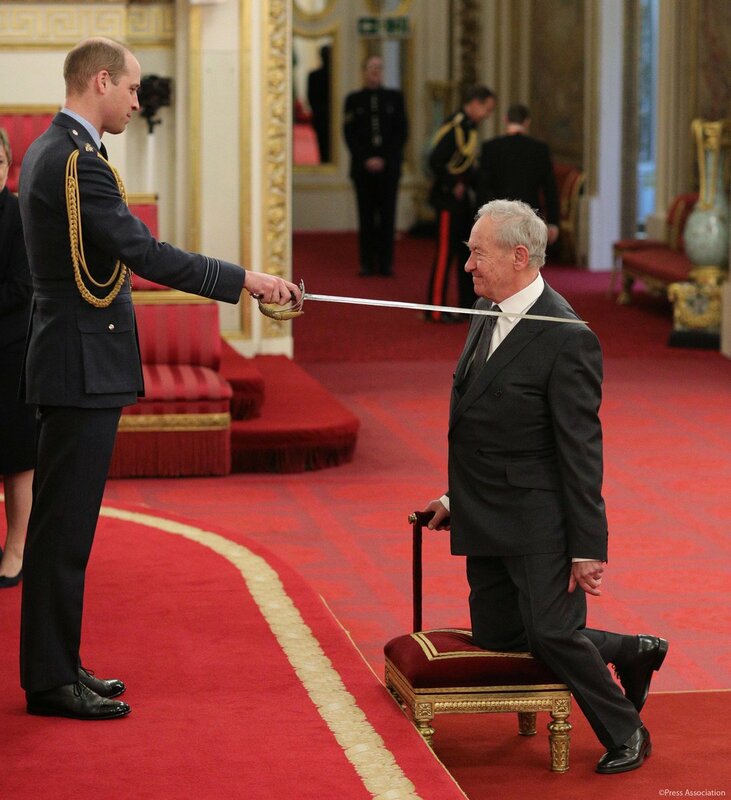 Which makes no sense as he's one of the few that can perform these knighthoods. It's more royal "work" than having an executive to tea in private. and for the one held in January. 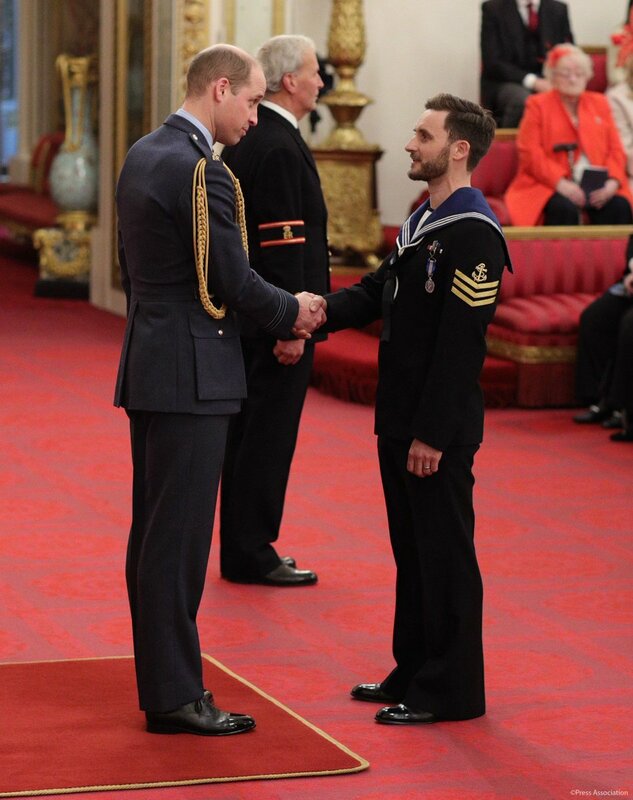 CC 31/1 The Duke of Cambridge, on behalf of The Queen, held an Investiture at Buckingham Palace this morning. The official online version of the CC is very poorly run but the Times and the Daily Telegraph typically have the CC listed and I believe that is the source for some of these tweets. Oh thank you. I didn't know about these. The official one is horrible! 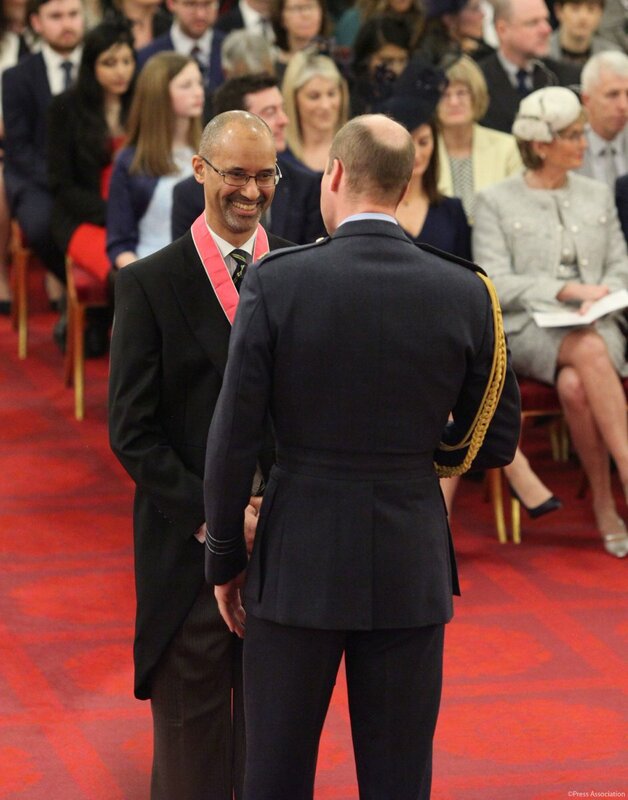 1) Feb 5 - The Duke of Cambridge, on behalf of The Queen, held an Investiture at Buckingham Palace this morning. 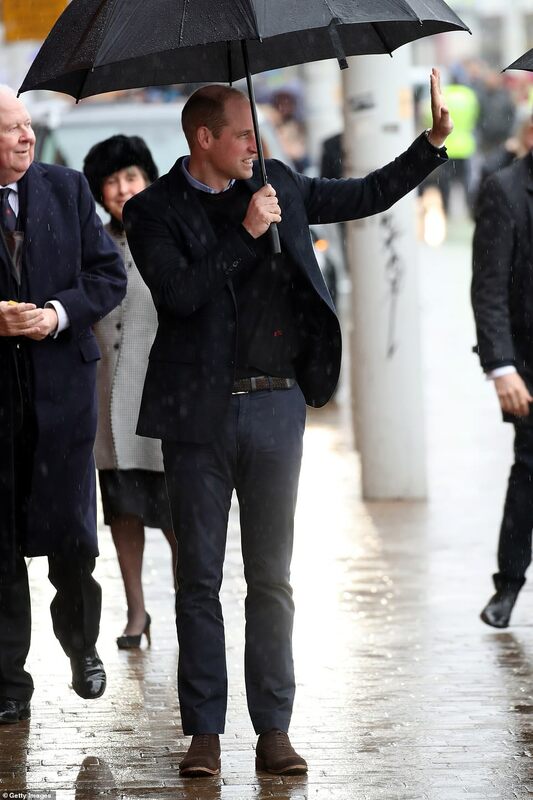 2) Feb 6 - The Duke of Cambridge this morning visited Mental Health Innovations at Phoenix Brewery, 13 Bramley Road, London W10. 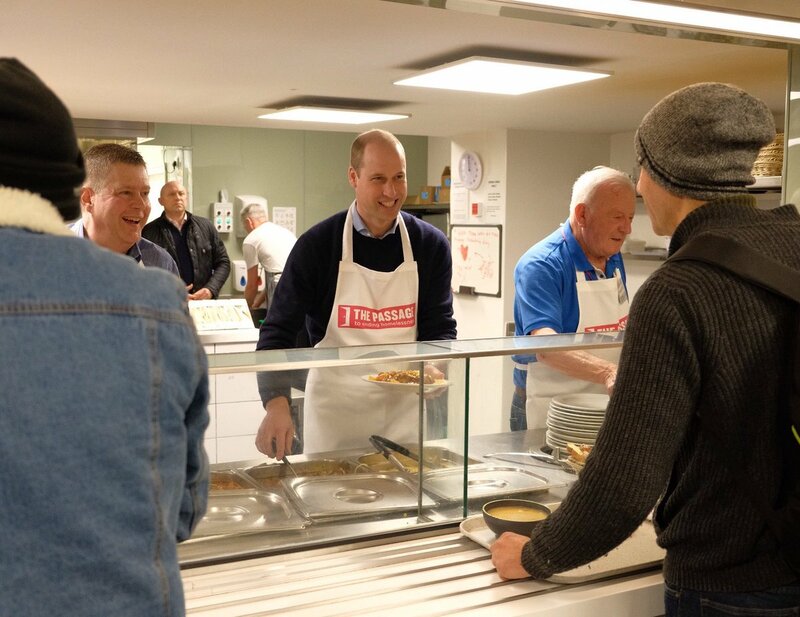 4) Feb 13 - The Duke of Cambridge will join volunteers at the Passage Charity's homeless resource centre in a lunch shift, and hear how integral volunteering and community support is for the organisation and their clients. 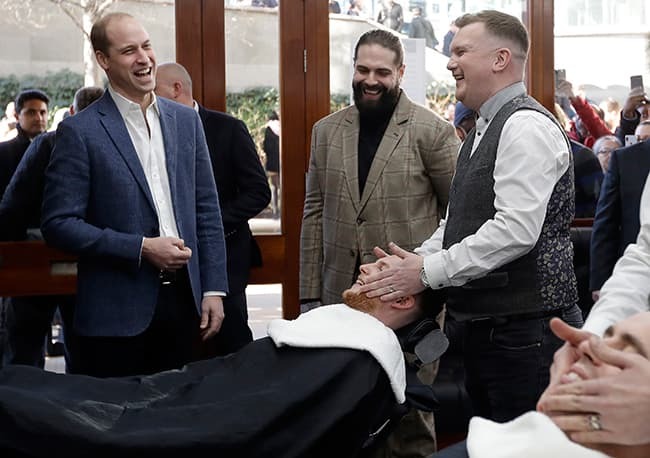 • On his second visit The Duke will visit a session called ‘Future Dads’ that was set up by the charity Future Men Working With Men. 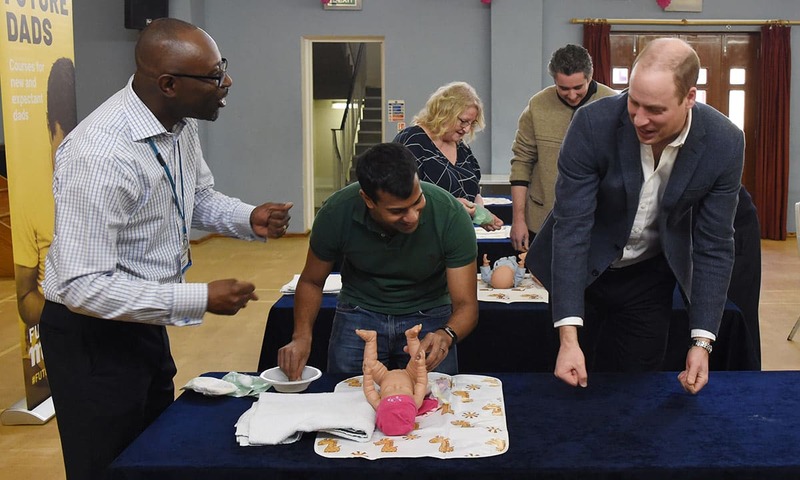 This programme is run in locations across London aiming to build stronger families by providing practical guidance, advice and support. 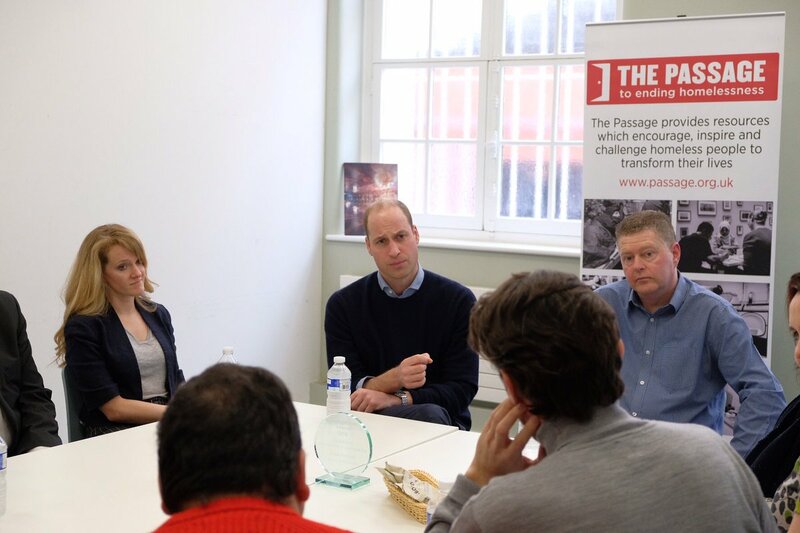 The Duke of Cambridge has today become Royal Patron of The Passage, which is the UK’s largest resource centre for homeless and insecurely housed people. Established in 1980, The Passage has since helped over 130,000 people in crisis through its resource centre, homelessness prevention projects and two innovative accommodation services. The Duke is a longstanding supporter of organisations working to combat homelessness, and has also been Patron of Centrepoint, who work to help homeless young people, since 2005. 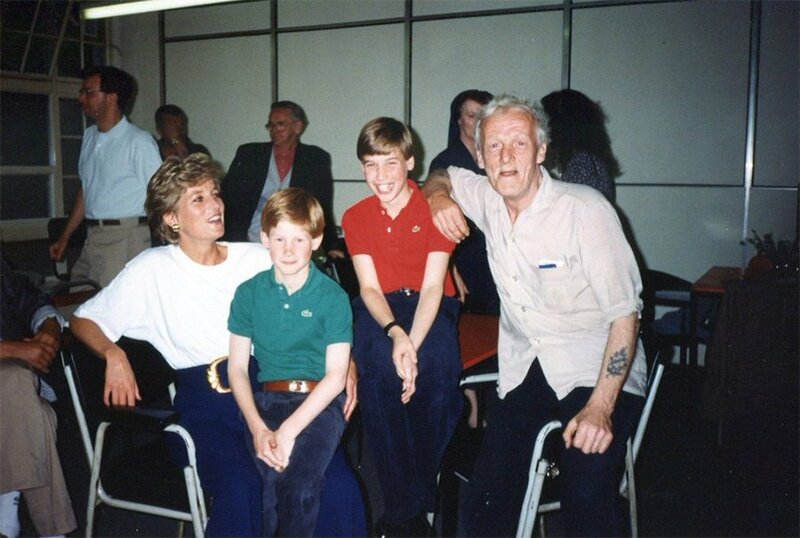 The Duke of Cambridge first visited The @PassageCharity as a child in 1993 with his mother Diana, Princess of Wales, and has made additional visits at various points over the last twenty-five years. 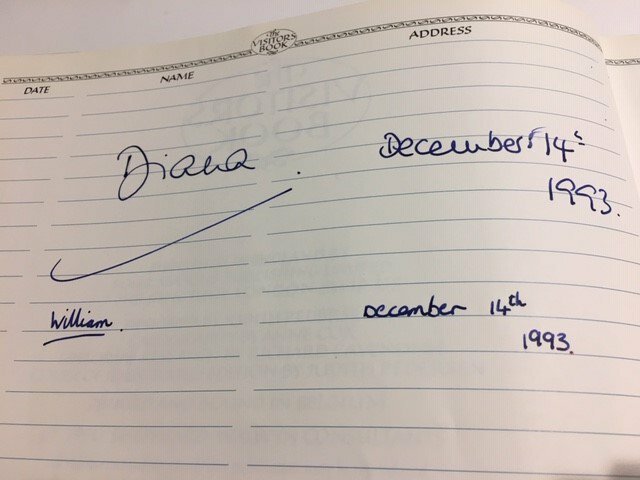 This entry in The @PassageCharity visitor’s book marks The Duke of Cambridge's first visit with his mother Diana, Princess of Wales in 1993. The Duke helps serve lunch alongside Malcolm (on the right), who’s been volunteering at the @PassageCharity for 21 years.8-10 volunteers support Head Chef Nour Shab in the kitchen every day. 2,651 homeless people were supported by @PassageCharity in 2017/18 - this was made possible with the help of the charity’s 450 regular volunteers who work 24 hours a day, 365 days a year. Meeting clients and volunteers from @PassageCharity’s ‘Home for Good’ Programme. 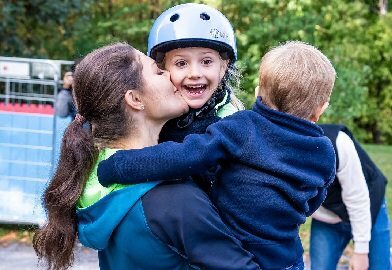 The programme pairs formerly-homeless clients with local volunteers to help them settle into their new homes and community life. He cares about these charities so much he's shown up once every few years (Centrepoint, anyone?). Honestly, it has seemed to me the only reason he is involved here, and with Centerpoint, is Mummy so don't criticize poor golden William. I hope his patronage means he'll actually do things for said charity and promote its work and help with it getting funding. The fear of having a newborn baby that's very vulnerable and that's what you spend most of your time worrying about, thinking what do I do? And that's the thing isn't it, it's very daunting how tiny they are when they first arrive. They are so fragile and everything's so tiny, their little fingers and toes, you do feel like if you move them around too much they're going to break almost but they don't. The Crown Prince of the Hashemite Kingdom of Jordan called upon The Duke of Cambridge this morning. * The Crown Prince of the Hashemite Kingdom of Jordan called upon The Duke of Cambridge this morning. * The Duke of Cambridge, Patron, the Royal Foundation of The Duke and Duchess of Cambridge and The Duke and Duchess of Sussex, this afternoon received Sir Keith Mills (Chairman). * The President of the Republic of Cyprus called upon The Prince of Wales this morning. The Duke of Cambridge was present. * The Queen gave a Reception at Buckingham Palace this morning to mark the Fiftieth Anniversary of the Investiture of The Prince of Wales. 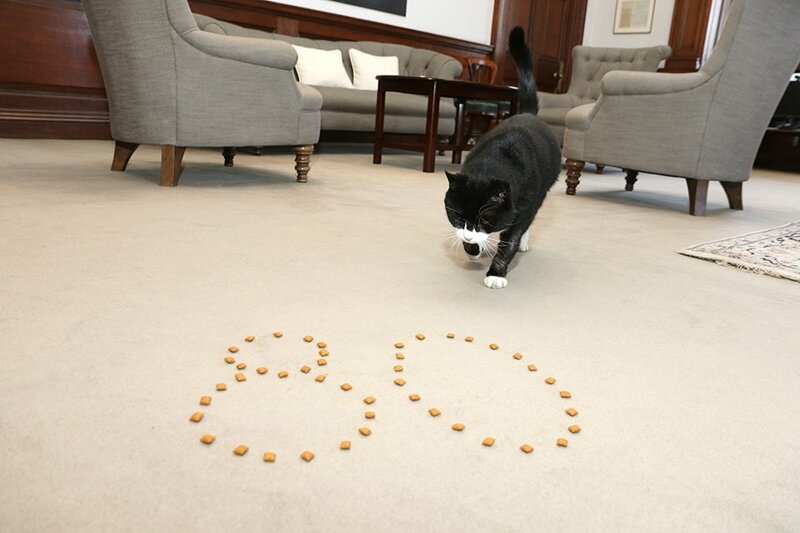 It's about time William started joining Charles on these private meetings. Now if he does it consistently I'll believe he's taking his role more seriously. Yes, this is great for him! I'm going to say it straight out. William needs a valet. I know we've mocked Prince Charles for having one, but Charles would have dressed well, valet or not. He inherited good dress sense from the DoE. William has none, zero, zilch. He needs a valet not only to take care of his clothes and grooming, but to buy him whole new wardrobe, and lay out his clothes everyday. Don't let him near the closet!